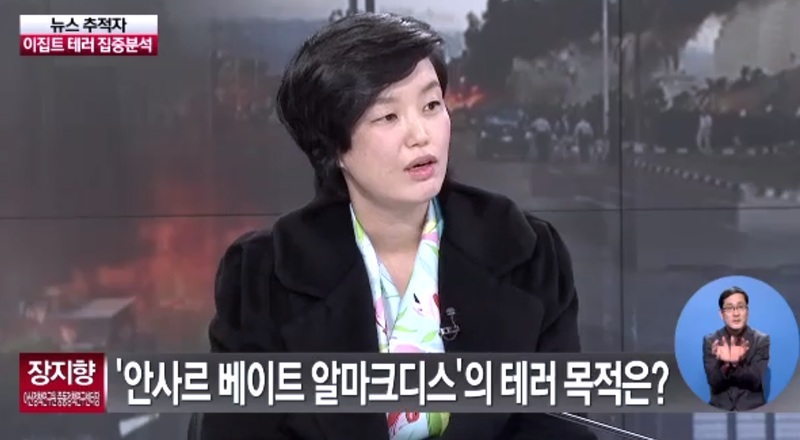 Jang Ji-Hyang Interview [Channel A] Sinai Peninsula Bus Bombing: Who is Ansar Bait al-Maqdis and what does it want? On Sunday, February 16, 2014, Islamist militants blew up a bus carrying 33 Korean tourists in the Sinai peninsula. The attack, which has so far left 3 dead and more than a dozen wounded, has sparked international outrage and drawn widespread condemnation. Dr. Jang Ji-Hyang, Director of the Middle East and North Africa Center, spoke on Channel A about the role of Ansar Bait al-Maqdis, the militant group that has claimed responsibility, as well as the current political situation in Egypt.